The Bahamas consists of about 3,000 islands to the north of Cuba with a population of only about 250,000. The islands were discovered by Columbus in 1492, but they were not settled by the Spanish. In 1626, they came under British influence which has continued despite brief periods of Spanish control. 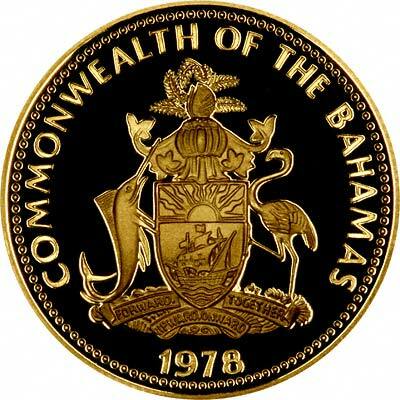 Full independence was gained in 1973, but The Bahamas remains a member of the British Commonwealth. 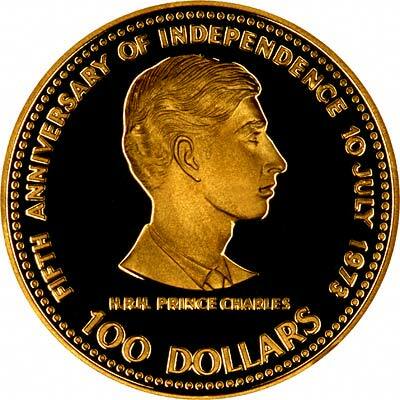 Bahamas own coins were first issued in 1966, before this British coins were used. 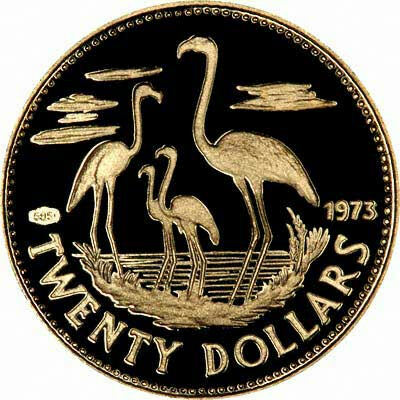 The first gold coins issued for the Bahamas were in 1967 for the adoption of the new constitution. Quite a few commemorative issues have been produced since then, including some very large coins. We usually manage to have a small selection of Bahamas gold coins in stock. As you will see, there are frequent changes of specification within denominations, often in the same year which can be very confusing. Please contact us prior to ordering for current prices and availability. AGW = Actual gold content weight in troy ounces. We believe that gold coins should be at least .900 fine gold (90%). 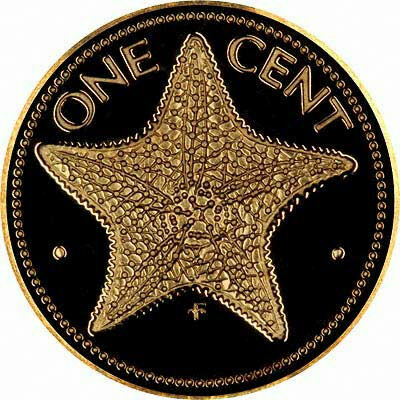 Many of the Bahamas coins are of various lower finenesses, even within the same year. They are also made in numerous different diameters and weights. This is quite confusing for collectors, dealers and catalogues alike. Much of this boils down to marketing of new coins, if they can be made smaller, lighter, and with less gold, the costs can be held down, more coins sold, and bigger profits made. We disagree with this cynical policy of debasing the coins and denomination, but there is little we can do about it, we simply make a market in second-hand, and sometimes new coins. We have tried to give a simple but clear guide. Conversely, some of the lower carat gold coins can and do make an impressive addition to a collection at modest prices in relation to their size. The 1974 $100 comes into this category. Interestingly, the certificate which comes with this issue states its weight as 278 grains, a near obsolete and confusing measure, probably used because it makes the coin sound bigger and more impressive, possibly chosen in the hope that buyers will mistake this for grams. A grain is 1/20 of a gram, therefore this coin should weigh 13.9000 grams if the certificate is correct, but it is incorrect as the coin actually weighs more at 15.6448; we said that some of these specifications were confusing, it seems they manage to confuse their authors! For silver and base metal coins of Bahamas, please look at our original Chard Coins website. We make an active market in almost all world coins, gold or otherwise, including Bahamian gold coins. If you have any of these coins to sell, please contact us, or post them to us for appraisal and offer.